WSU Tech professor Jeremy King assists a student in his geometry course. Student Matthew Fitch wanted a low-cost, quick entry into the workforce. That’s all he wanted. So he transferred from a community college to WSU Tech — a place that felt quieter and more focused on his dash to the working world. Fitch is one of thousands of students who have helped technical colleges defy what’s becoming a new Kansas college tradition — declining enrollment. Kansas is near the end of a 10-year strategic plan to get more students into college classrooms. Instead, many of those classrooms have emptied. The exception lies in the state’s technical colleges. Their enrollment swelled over the last decade. Advocates credit an emphasis on employer-focused, hands-on training rather than the sports and out-of-class activities that can define college life elsewhere. Tech colleges have been championed as a model for higher education success across the political aisle. That’s kept state funding flowing with the argument that it sets students on a fast and cheap path to a solid job. And with the state covering most of the bill, why wouldn’t students look hard at technical colleges? In 2012, Kansas began paying the tuition for high school students taking career and technical courses. Last year, more than 11,000 high schoolers were enrolled in the program. Some students earn industry certifications before their high school diploma. Entry-level welders make about $31,000, according to the Kansas Department of Labor. The department projects about 670 welding jobs to open in the state a year. High schoolers account for nearly all the growth seen at technical colleges across the state. Students less than 18 years old made up more than a quarter of the people taking courses from state technical colleges in 2018 in Kansas. Technical courses at community colleges are also paid for, though those schools haven’t seen the same boon from the program as technical colleges. Students often still pay class fees. Then-Gov. Jeff Colyer’s education council last year recommended those fees be covered by the state, schools or business partners. The council also suggests reevaluating to make sure the state focuses its subsidies on courses that get students into high-paying, high-demand jobs. So students looking for a highly subsidized career have options. They’re just limited to where state officials decide to concentrate tax dollars for job readiness. But for high school students willing to chase fields targeted by the state, technical college can be an easy decision. For those with their high school years behind them and without the option of state-paid tuition, the sticker price makes technical college a trickier choice. Both technical colleges and community colleges have turned to certifications for students to master workforce skills in a fraction of the time and price of more traditional degrees. Technical colleges weave those certifications into their identity more than community colleges. Those community colleges often function as a funnel to four-year universities. Still, community colleges are often the cheaper option for similar programs. Tuition and fees at technical colleges often cost twice as much as what’s listed for community colleges. 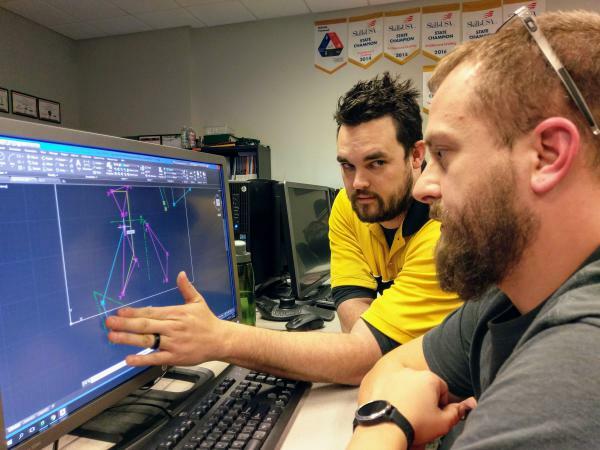 An associate’s degree in engineering design technology from WSU Tech costs thousands of dollars more than a similar degree at Butler Community College. The Butler graduates also earned slightly more and were more likely to be employed in either Kansas or Missouri. Yet it may make more sense for a student to worry more about what degree to pursue than where to get it. Technical and community colleges each have pathways to high-paying jobs and others that resemble dead ends. Sometimes, the best choice might be the school with the shortest commute. Both types of colleges offer associate’s degrees that can lead students to a job that pays more than $50,000 a year after they graduate and enter the workforce, according to annual state data. Students with other degrees earn barely above the poverty line. The state data don’t include outcomes for the quick-to-earn certifications popular at community and technical colleges. Despite the higher price and similar outcomes, technical colleges continue to grow as community colleges shrink. Technical colleges say they’re just better at tuning their courses to what employers want. Spirit AeroSystems announced in December that it would create 1,400 new jobs in Kansas. To fill those spots, WSU Tech shortened its sheet metal program from eight weeks to six. “When our employers say that they need a change — they need employees quicker, they need employees trained in a different way — we are able to do that much more quickly than a traditional community college,” said James Hall, the dean of aviation technologies at WSU Tech. Other educators dispute the idea that technical colleges align better with businesses than other colleges. All types of Kansas colleges participate in a program designed to provide fast training to help fill the state’s skills gap. Spirit AeroSystems also said other colleges have been responsive to their needs. Hands-on training has long been a top selling point for technical colleges. But community colleges have been cutting away at that advantage in recent years. Butler Community College has built in more hands-on training in both technical and general education classes. Each syllabus now comes with a promise of a physical task students master by the end of the courses. Perhaps what is most noticeable for Kansas’ technical colleges is what they often don’t bother with — much campus life. WSU Tech, for instance, lacks dorm halls, sports and mascots. But for students like Matthew Fitch, the loss of those colleges staples creates focus. The schools trade campus life for the promise of a fast, no-nonsense path to a good job. This is Part Three in a Kansas News Service series on colleges and careers. Missed Part One about bachelor's degrees reshaping the U.S. job landscape? Read here. Part Two offering five things to consider before skipping college is here. This is Part Three in our series on college and careers. Don't miss Part One on the advent of the "college economy," Part Two on planning life after high school, Part Four on free dual credit classes for high schoolers, Part Five on the state's heavy investment in engineering education, Part Six on college major tips, Part Seven on "degree inflation," and Part Eight on the lack of access to four-year college in southwest Kansas. Kansas News Service stories and photos may be republished at no cost with proper attribution and a link to ksnewsservice.org. This story was produced with support from the Education Writers Association reporting fellowship program. Life is expensive. Rent, health care, raising a family, saving for retirement — it adds up. But so does college debt. In fact, the cost of college shot up many times faster than typical U.S. earnings in recent decades. So, what to do after high school? Here’s what you need to know. Toilsome college coursework may have kept the Wichita native up at night, but looking for a job won’t. Simon lined one up at an emergency room before even graduating — one of the benefits of earning a nursing degree.